You are here: Home » What's New » What’s New! MARS Automation Inc has acquired a 2D Mitsubishi Laser Cutter to add precision laser cutting service of metal parts up to 3/4″ thickness. 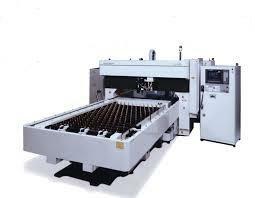 The Laser Cutter uses a Resonator: 5036D(3.6kW / 5.0kW) and a travel path 0f 98″ X 49″. We encourage our current customers as well as new customers to contact us regarding our new service. No job is too small!